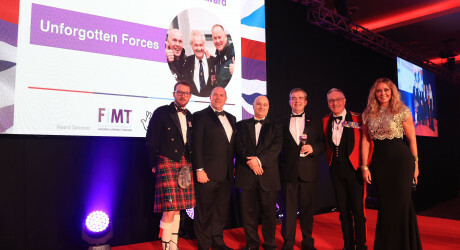 The Soldiering On Awards acknowledge and celebrate the dedication to the Armed Forces community across a variety of individuals and sectors, including businesses and charities as well as many ex-Service personnel and their families. Carol Vorderman, a passionate supporter of the Armed Forces, and ex-Serviceman JJ Chalmers, hosted the evening, with mezzo-soprano, Carly Paoli, performing classics such as Vera Lynn’s We’ll Meet Again. Speaking on behalf of the Unforgotten Forces consortium, Mark Bibbey, Poppyscotland’s chief executive, said: “In just over a year, there have been more than 6,000 instances of support for older veterans living in Scotland provided through the Unforgotten Forces consortium. MEDIA RELEASE issued by Poppyscotland. You too can share your stories (aka press or media releases), on this site. Email here for more information.